PlayStation Now's need for constant internet connectivity has been effectively disabled, allowing subscribers to download PS4 and PS2 games for offline play. For a long time, streaming video game subscriptions were a pipe dream. That changed fairly recently, with services like PlayStation Now allowing users to pay a set fee in order to enjoy a number of different games without ever committing to a single purchase. The catch was that streaming those games required constant internet connectivity and a fair amount of available bandwidth. Fortunately for PlayStation Now, such is no longer the case, as Sony has announced that the service now allows users to download PS4 and PS2 games straight to their PlayStation 4 systems for convenient offline play. 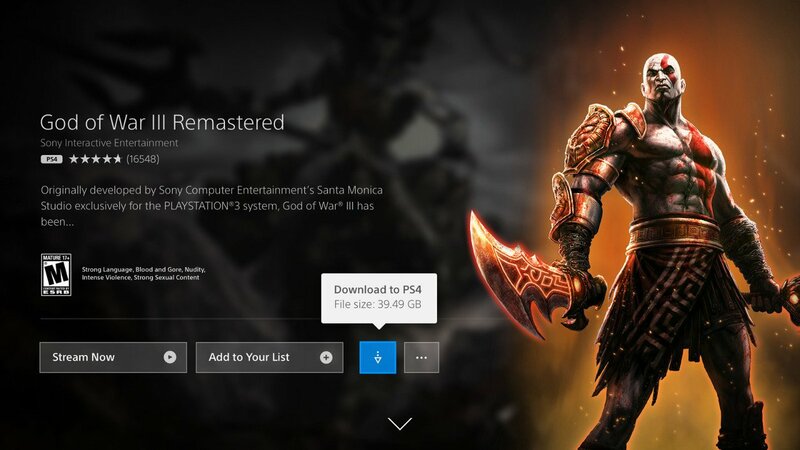 As revealed over on the PlayStation.Blog, starting today, PlayStation Now users will find that "almost all" PlayStation 4 games made available through the service can be downloaded to the user's console. There's no guarantee that the function will be available immediately, however, as the post states that the feature "will be gradually rolled out to PS Now subscribers over the next couple of days." With that said, fans can rest assured that the new feature is on the way. Not only does this remove the need for extra bandwidth, it more importantly allows PS Now games to be played offline. Users will still need to sign in to the PlayStation network "every few days to verify your PS Now subscription," but otherwise, the game should run just like any other game installed straight onto the system. The PlayStation team has been steadily increasing the number of games made available through the PS Now subscription service, with recent additions like Bloodborne and God of War 3 Remastered being a few highlights. It's worth mentioning that some of the games made available to PS Now are also available through PlayStation Plus, so users who aren't too keen on buying into a new subscription service will still be able to enjoy some of the bigger releases for as long as they keep an active PS Plus subscription. How does this work? I was under the assumption that PS Now was a cloud gaming service for streaming games. If the games can be played offline, are they running in an emulator or something? As I understand the article, this offline mode is only available on PS4, so it's just running locally (the PS2 games are probably ports, and not emulated). That makes the service akin to a digital rental. Ok, that makes more sense. I would have been really impressed if it was working on PC. Its fine unless you're out in the woods or something, all of my gaming systems are online every day. They had a damn near perfect PS2 emulator even during the PS3 era, so I'm sure it's just an update of that. True. The downside to software emulation is that it requires work on Sony's end to port. Launch PS3s had very wide hardware-based compatibility that was removed from later models (along with SACD, a bunch of flash card readers, etc) in order to reduce the price. I'm still a little sour that they never bothered releasing a Gradius V port for PS3, the only way to play that game is from a PS2 disc on PS2 or launch PS3 hardware. The PS3 didn't emulate a PS2; it included the hardware. Hence the feature's later discontinuation to cut cost. What Serpico said. They developed a software emulator that worked great later on, though they only released a few games with it. Hackers have been able to take that emulator and make it play other games.